Ramadan is a beautiful time of year when we consciously take the time to renew our faith and strengthen our spirit in the name of Islam. We effortlessly do things we would otherwise never consider doing: wake up before sunrise to make a meal and pray, work throughout the day without any food or water, and take our first bite only when it’s nearly time to sleep again. But somewhere between the Iftar parties and feasts, it seems like we’ve forgotten about the ‘self-improvement’ aspect of Ramadan. We tend to overindulge in treats and fried food at Iftar, sleep in excessively on weekends and use Ramadan as an excuse to sit on the couch and not exercise for an entire month. If the idea behind this month is to build discipline in all areas of life, this has to include physical and mental health. It’s much more difficult to focus on spiritual growth and reflection if we’re constantly feeling tired, sluggish and lazy the entire month. I know it’s not easy, but I hope the simple guide below will equip you with the right knowledge, tools and tips to make this your healthiest Ramadan yet. Nutrition: What Should I Eat During Ramadan? When you think about Ramadan, what’s the first food that comes to mind? Samosas? Pakoras? Thought so! While the occasional indulgence isn’t going to hurt, eating these foods on a regular basis for an entire month might not be the best idea. Instead, we need to ensure we’re giving our bodies the most nutrient dense foods possible, given that we’re only eating for a few hours each day! Through personal experience, I’ve found that when I used to eat lots of processed, fried food and sweets for Iftar, I struggled with my energy levels and ability to concentrate the next day. Aim to follow the following food rules as closely as possible this month, and you’ll be surprised at how much better you feel while fasting! We all know that it can be tempting to buy the frozen snacks from the grocery aisle to put together a quick Iftar. But have you ever taken the time to read the ingredients label, and not just the nutrition label? Most pre-packaged food is full of artificial colouring, additives, preservatives and a whole chemical cocktail that places stress on the body by increasing our toxic load, especially on the liver. Unfortunately, pre-packaged foods are depleted of nutrients and do not contain live enzymes, which provide us with energy and vitality. While they may provide macronutrients (carbohydrates, protein and fat), they rarely provide the micronutrients (vitamins and minerals) that our bodies need to function optimally. Instead, we should opt for real, whole foods in their natural state. Foods with the “low fat” claim. Fat is a necessary nutrient and should not be demonized, nor does it make us fat. Rather, it is the excess sugar often found in such “low fat” foods that adds to the waistline! Foods with the “low calorie” claim. Remember that just because something is low in calories, doesn’t mean it’s good for you! For example, you can eat 6 crackers for 100 calories full of chemicals, sugar and salt, or you can eat a large apple for 100 calories with vitamins, minerals, fibre, antioxidants and phytonutrients. Focus on the ingredients, not the calories! Are you someone who eats a piece of toast or cereal for Suhur and then goes back to sleep? Do you find you get hungrier much earlier on? Here’s the thing: in order to be full at each mealtime, we need to ensure we have adequate protein, good fat, and fibre. That’s because each of these nutrients takes a long time to digest, and slows down the release of glucose into our bloodstream. When our blood sugar is balanced, we’ll experience less cravings, and a steadier stream of energy throughout the day. For example, if you only eat a bagel or some toast with jam, you’ll feel hungry again after an hour. This is because you are only consuming one macronutrient: carbohydrates. “White” refined food like pasta, pastries and bread are all simple carbohydrates with little to no fibre, protein or good fat. Refined carbohydrates break down quickly into sugar in the body, raising blood sugar levels and bringing them crashing down again, which results in cravings. On the other hand, if you eat a large omelet made with two eggs (high in protein), a cup of quinoa (high in complex carbs), alongside sautéed vegetables (high in fibre) dressed with olive oil (high in good fat), you’ve got yourself the perfect, balanced meal for Suhur to keep you energized throughout the day! I know, I know, this isn’t news! We’ve all heard that we should limit our intake of fried food, but I think it’s important to understand why you’re doing something in the first place. There are three types of fat, saturated, monounsaturated, and polyunsaturated. These have been listed in order of how delicate or fragile they are, from least to most. Foods are unfortunately usually fried in the unhealthiest oil: vegetable oils, such as canola, soybean, safflower and corn. These oils are polyunsaturated, which means they are extremely fragile so when they are burnt at high heat they turn rancid and produce large amount of free radicals, which damage and age our body. Does that mean it’s better to deep fry in ghee or coconut oil? Well, yes, it is a better choice. But that doesn’t mean it’s recommended. Fried food still contributes to weight gain, inflammation, increased risk of clotting and an increase in cancer risk. This is because any fried substance releases a substance called acrylamide, which is a known carcinogen (capable of causing cancer). We all know that sugar is found in cakes, pastries, cookies, soda, chocolate and candy. But did you know it’s also hidden in items such as seemingly “healthy” granola bars, orange juice, ketchup, salad dressings, and even flavoured milk and yogurt? In fact, one single-serve bottle of orange juice can contain up to 40 grams of sugar (that’s ten teaspoons)! I remember how shocked I was when I found my “healthy” blueberry Greek yogurt contained 22 grams, or 5 teaspoons of sugar! Aside from weight gain, sugar is detrimental to our health especially in Ramadan because it can contribute to fatigue, mood swings, insomnia, depression, headaches, anxiety, and can worsen our cravings. 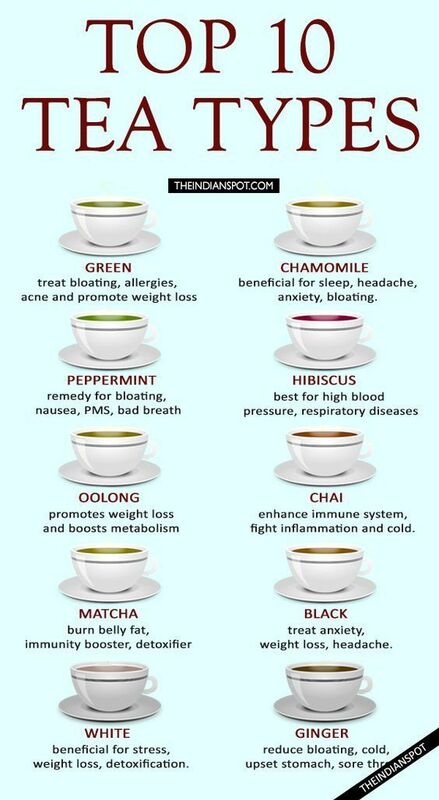 Trying to survive with food is hard enough without these issues added on top! First off, let’s take a moment to think about what an oil is and where it comes from. Oils are released from oily fruits (like olives, coconut meat), kernels (e.g. apricot kernel), nuts (almonds), and seeds (e.g. sesame). So where does vegetable oil come from? The answer is that vegetables don‘t release oil and that the term “vegetables” is solely used for marketing purposes! I promise you, no matter how much you try to squeeze a head of lettuce or bunch of tomatoes, no oil will come out of it. Vegetable oil actually comes from seeds and beans like soybean, cottonseed, safflower, corn and rapeseed (canola). Unfortunately, these oils are extracted with a poisonous solvent called hexane, which also strips all nutrients from the oil making it nothing but an artery-clogging, and pro-inflammatory industrial product! What’s more, the delicate nature of vegetable oils makes them a poor choice for cooking. They are polyunsaturated, which means they are fragile and extremely sensitive to heat and light. The moment they are used for cooking, they start to become rancid. Instead, opt for saturated fats for cooking as they are extremely stable at high heat. This includes virgin, unrefined coconut oil and 100% pure ghee. 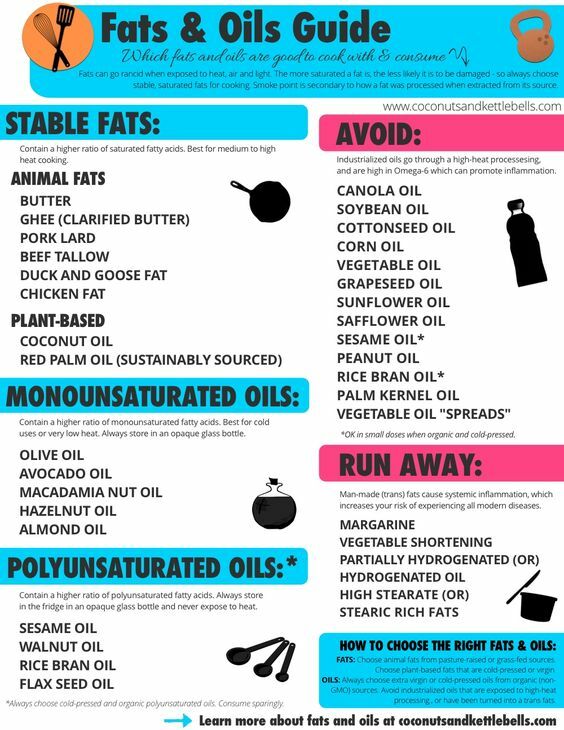 Monounsaturated fats such as olive oil and avocado oil are also less delicate, and can be used for low-heat cooking. Ever come away from the Iftar table burping and belching through your prayer? Here are some tips to spare the person praying next to you from the musical orchestra taking place in your stomach! Let’s say you ate some kebabs and then ate a fruit salad right afterwards. Kebabs are high in protein and will take a long time to digest, perhaps a few hours. Fruit on the other hand, digests super quickly! If you eat fruit and meat at the same time, the fruit cannot move onto the next step of digestion until the meat is also done breaking down in the stomach. While the fruit is waiting around, it will start to ferment. This causes burping, bloating and acid reflux. Digestion Rule #2: Don’t Drown Your Meal With Water! Our stomach secretes an acid called hydrochloric acid, which is used break down food before it enters the small intestine. However, if lots of water comes flooding into the stomach while the hydrochloric acid is breaking down food, it will dilute the acid and slow down the process. Not only will the slow does digestion, it can cause you to feel bloated right after the meal. The best practice is to have a glass of water before eating, take small sips throughout the meal (to help food pass along), and then wait at least an hour after eating your main meal before you have another glass. Regardless of how much we try to be on our best behaviour at Iftar, there will be the odd one or two times where we’ll indulge at a family gathering or party. And then the indigestion and food coma will surely follow! 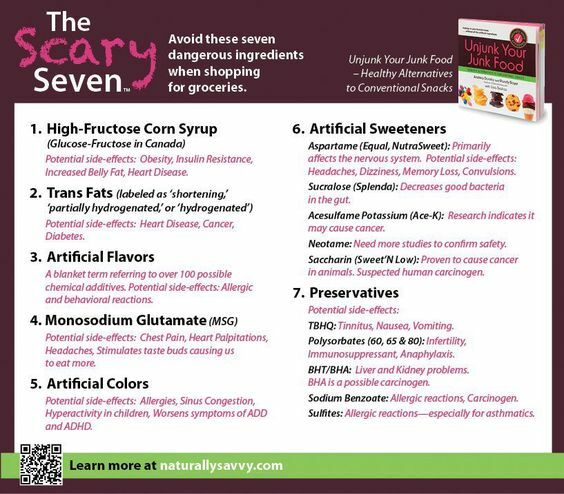 You can purchase these from any large supermarket or health food store. One box typically costs between CAD $4-$8 for approximately 16-20 teabags. Not only is following this rule Sunnah, but overeating contributes to indigestion, heartburn, gas and burping. For most people, it also makes it difficult to fall asleep at night, or can lead to disturbed sleep. Try to eat slowly, chew your food thoroughly and take breaks between the meal so that you allow more time for your brain to register feelings of fullness. Ever had one of those weekends where you stayed up till Fajr and then slept right through to Iftar? Whoops, me too. Guilty as charged! While it does make the fast go by quicker, I think we all realize that we’re not truly honouring the purpose or spirit of Ramadan when this happens. We end up feeling lethargic, foggy and slightly off balance. And that’s not the only unhealthy lifestyle trap we can fall into during Ramadan. Below are the top three areas where it pays off to be more mindful; if you follow these lifestyle rules you’ll find that you’re able to stay energized longer, have more clarity and focus, and achieve greater balance. Way too many people sleep through Suhur (and sometimes Fajr), just so that they can squeeze in a bit more sleep! Aside from the obvious downside that you’ll be hungrier throughout the day, it’s important to make the connection that with less nutrients in your body, your performance will suffer as well. So what’s a person to do? It’s not easy to wake up at 4am to make food! Although there’s no getting around the 4am part, we can make our lives easier by prepping the night before. Simply prepare your food before you go to bed so that all you have to do is warm it up and eat it in the morning. I promise, you will be thanking yourself. Now if that still feels like too much work, what I like to do is keep a bunch of frozen fruits in the freezer, some vegetables chopped up in the fridge, a protein powder and some nut butter or full-fat coconut milk on my counter. In the morning I throw together all the ingredients and blend! The result is a filling, quick, nutritious and delicious smoothie. This tip goes hand in hand with the tip about overeating in the Digestion Tips section. A good way to force yourself to slow down is to break your fast with water and dates, and maybe a fruit salad or lentil soup, and then pray. By the time you return to the table you will find you aren’t as ravenously hungry as you first thought. We all know the importance of exercise, but the very thought of willingly going to the gym during Ramadan can feel like mission impossible for most of us! The most convenient and optimal time to go is an hour before breaking your fast. I know, I know, this seems crazy. But hear me out. When you work out right before Iftar, you’ll be able to replenish your body with water, carbohydrates, and protein right after your workout, which will ensure your blood sugar level stays stable and no muscle loss occurs. Plus, the other alternatives are working out at 3am in the morning before Suhur, or right after a heavy Iftar around 9pm at night, neither of which is ideal. Needless to say, keep it light during Ramadan. You could simply go for a brisk walk, do some light cardio or lift lighter weights at the gym. The key is not to push yourself too hard, and do what feels comfortable to you! This differs from person to person. Someone who is 5”0 and has a sedentary desk job needs to eat less than someone who is 6”0 and has an active job, such as a chef at a restaurant. 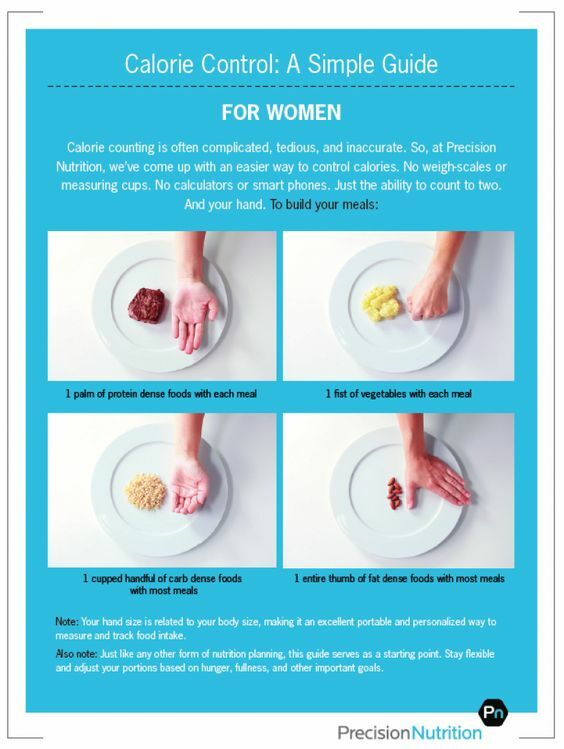 Below is a good rule of thumb for portion sizes. 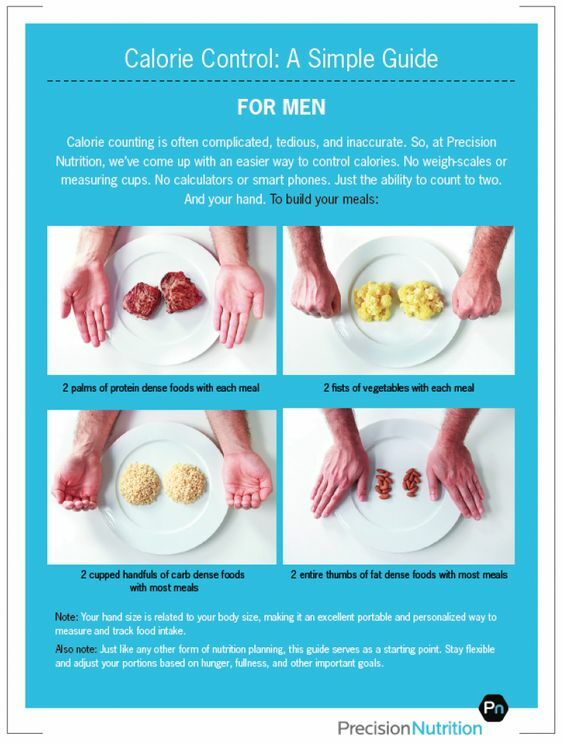 The portions below are for women, for men simply double them. Adjust as needed based on your hunger and activity levels, but this is a good starting point to work from! Also, keep in mind that Ramadan is not an excuse to overeat and consume twice the regular amount of food. Treat Iftar as a regular meal. Purchase a probiotic supplement to consume once daily (ideally right after the Suhur meal). Probiotics are good gut bacteria that will help keep things moving along! Consume 1 Tbsp. of ground flax in one glass of hot water before bedtime. For Suhur, begin with a glass of hot lemon water. Eat 1-2 dates or prunes, followed by a fibre-rich meal such as oatmeal. You’ll be in the bathroom in no time! This is the ideal, nutrient-packed suhur meal for those who don’t feel like eating or prepping a meal in the morning. I have a green smoothie most mornings for breakfast because it gives me an amazing energy boost, fills me up and provides an excellent serving of essential vitamins and minerals in a delicious form. I encourage you to experiment and try your own variations, but below are two recipes to get started! Tip 1: Prep the ingredients beforehand or keep frozen fruit in Ziploc bags so that all you have to do in the morning is throw together the ingredients! Tip 2: Add in one scoop of unflavoured or vanilla protein powder in to feel fuller longer and to ensure you’re getting enough protein during your fast. You may need to add more water to adjust the consistency. Drizzle with a bit of maple syrup, and enjoy! Add toppings to boost the good fat and protein content e.g. pumpkin seeds, hemp seeds, sunflower seeds, chopped nuts, almond butter etc. No Iftar table is complete without a tangy and refreshing bowl of fruit chaat. This recipe takes traditional fruit chaat and turns it into more of a treat with strawberry cream on top. And nope, absolutely no unhealthy ingredients are used! Mix together chopped fruits, lemon juice, spices and salt. Blend together strawberry cream ingredients in a high-powered blender until completely smooth. Pour cream onto each individual serving of fruit chaat. Top with hemp seeds for an added protein and Omega 3 boost! Tabouleh is a traditional Middle-Eastern dish that makes a good side dish at the Iftar or dinner table. While typically made with a cracked wheat base, this one swaps it in for a more nutrient-dense and gluten-free option, quinoa! In a medium saucepan, bring water to a boil. Add in the quinoa, bring to a boil and then reduce to a simmer. Cover with lid and let simmer for around 10-12 minutes, until all water is absorbed. In the meantime, chop up all vegetables as finely as possible and mix together. Add in dried basil, lemon juice, olive oil, chopped dates and seeds if using. Feel free to adjust these amount based on your personal taste. Add in coconut sugar. Keep stirring to prevent sticking. Serve warm with garnish on top. Wow! That’s one of the most comprehensive article on food and nutrition! Extremely informative, useful and inspiring! Thank you I’m so glad you found it helpful! Thanks a lot for giving deep info ! Useful dan comprehensive info, thanks a lot!